About : Contains topographic maps with unbeatable detail, plus gazetteer information on great places to go and things to do. An absolute "must have" book for anyone who plans on exploring Montana's backcountry roads. 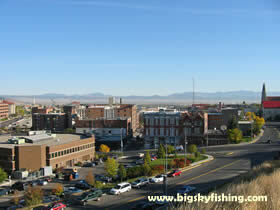 Helena, similar to Butte, is best understood by understanding its history. 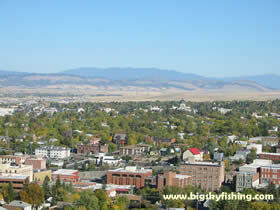 Like many other towns in Montana, Helena started out as a mining town. However, unlike Butte, it doesn’t share some of the tragic consequences that Butte has endured over the past couple dozen years. Helena was inadvertently founded by four men, all from Georgia, and known in the history books as the “Four Georgians”. These four men, rather desperate after searching throughout western Montana for gold and finding nothing, stumbled into the area that is now Helena. That night, on July 14th, 1864, the men decided to take one last chance in mining the nearby creek. As luck and fate would have it, the men found gold that evening. They named the stream they found the gold in, appropriately enough, Last Chance Gulch. Word soon got out about the gold strike and, seemingly overnight, Helena became a boomtown. In just a few short years, several hundred businesses had opened up shop in Helena and more than 3000 people called Helena home. Moreover, many of the previous mining strikes in other mining areas of Montana were beginning to play out. As such, many of the miners in these areas gravitated towards Helena. The name Helena for the new town did not arrive overnight. Initially, the new town had a less-than-inspiring name of Crabtown, named after one of the four Georgians who found gold. Soon, though, other names were bounced around, including Pumpkinville and Squashtown. However, many of the miners were from Minnesota. These miners soon began to call the town after another town in Minnesota, called Saint Helena. This name was soon shortened to Helena, which is the name today. Montana became a territory of the United States in 1864. A territorial capitol was established in Virginia City, which was right next to Bannack. Bannack was the first major gold strike town in Montana, being established just a few years earlier in 1862. However, with the boom in Helena and the influx of miners from the Bannack gold strike, it was decided to move the territorial capitol to Helena in 1875. This was a fateful move, as it pretty much sealed the demise of Virginia City (which would decline into a ghost town once the gold ran out) while setting up Helena for future growth and development. Somewhat oddly, the capitol building itself was located about a mile away from Last Chance Gulch (which sits deep down in a canyon), with the capitol building perched on the lower elevations of a large hill that lies to the west of town. In 1883, the Northern Pacific railroad arrived in Helena, further fueling the cities growth. Moreover, with the establishment of the territorial capitol in Helena, the city began a slow move away from a typical mining town – and prevented the collapse of the town when the gold ran out in Last Chance Gulch. Yet, Helena had to fight to keep the capitol. In 1894, the fight over the state capitol erupted between Helena and Anaconda (at the time, the Anaconda area was booming with the mining being done in nearby Butte). Helena won the fight, by popular vote, and has remained the state capitol of Montana ever since. Helena also had to battle several fires that burned significant parts of the town. The wooden structures burned easily and readily. This led to the creation of the historic fire tower that still stands today over Last Chance Gulch. Like all mining towns, the gold soon ran out of Last Chance Gulch. Yet, Helena continued to prosper. The towns central location in Montana, coupled with being the state capitol, continued to bring in new people and roads. Helena also acted as a distribution point (due to the transportation hub that developed of roads and railroads) to outlying mining towns and other nearby resource extraction industries. Additionally, agriculture in the valley helped to sustain Helena’s growth.